Ghosn wants platforms that can be used on multiple models across multiple brands. FRANKFURT -- A new compact car platform under discussion between Daimler and Renault-Nissan could be used for non-premium cars sold by Renault and Nissan. Extending the platform's use is one of the ideas being consider by Renault-Nissan CEO Carlos Ghosn and Daimler CEO Dieter Zetsche as they look for ways to maximize the advantages of their 3-year-old alliance. "When we make a platform, we don't dedicate it to one brand. 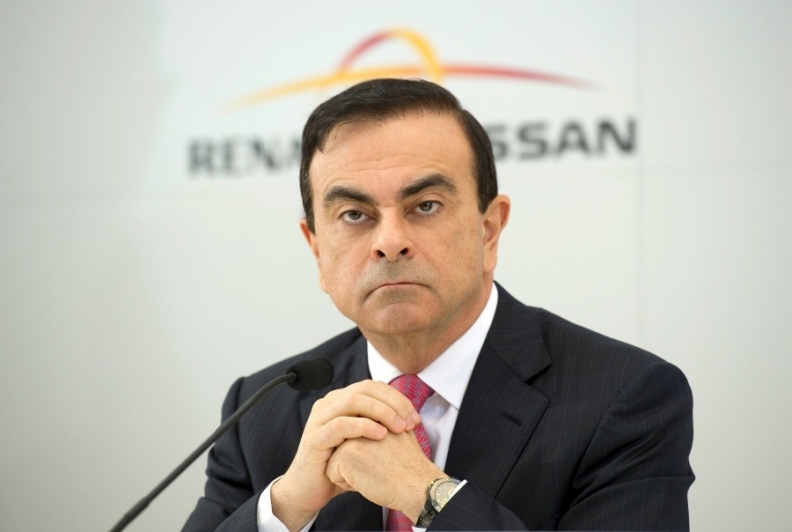 Platforms belong to companies," Ghosn told Automotive News Europe last week at the Frankfurt auto show. Ghosn added "even if I tell you today we have no projects for one particular brand, within three months or sooner somebody can come with a project and I'll put it on the platform." In his view, a platform conceived for premium brands such as Mercedes and Infiniti also could be cost effective for volume brands such a Renault and Nissan. "The cost effectiveness doesn't depend so much on the platform, but on the specifications of the cars" you built on a common platform, Ghosn said. Currently Mercedes uses its MFA architecture to underpin the A class, B class, CLA models and the upcoming GLA. Nissan will use the platform for the Infiniti Q30, the brand's new entry-level model. European production of the Q30 will start in May 2015 at Nissan's plant in Sunderland, England, where capacity is being expanded by 50,000 units to add the car. In addition, Daimler's Smart brand and Renault will share a co-developed rear-wheel-drive architecture for a four-seat Smart and the new-generation Twingo. The new Smart will be made alongside the Twingo at Renault's factory in Novo Mesto, Slovenia. Automakers are looking for ways to increase economies of scale to reduce their vehicle development costs. One way is to use co-developed common platforms to underpin cars of different sizes and price classes while differentiating in areas that customers can see and feel. The strategy also often shortens the models' time to market. Ghosn declined to confirm media reports that Daimler and Nissan may build compact models together at Nissan's new Mexican plant. Joint production of the Mercedes GLA and Infiniti Q30 could start as early as next autumn in Aguascalientes, Reuters and Japan's Nikkei newspaper reported last week. The $2 billion plant will open later this year next to an existing Nissan factory. "While our initial collaboration focused strongly on European projects, we are now focusing on synergies in all key markets", Ghosn said, adding "the largest economies of scale are always global." The GLA crossover is one of several Mercedes candidates for future production in Aguascalientes, the sources said. Another is the CLA coupe-styled four-door sedan. Zetsche told Automotive News Europe sister publication Automotive News in July that Mercedes might build the next-generation CLA in Mexico, beginning in 2018. The CLA is currently built at a Daimler factory in Hungary. The CLA went on sale in Europe in April and it U.S. launch is planned for this month. The GLA will go on sale next spring in Europe and while its U.S. debut is set for next autumn. The production version of the GLA debuted at the Frankfurt show. The crossover initially will be built at Daimler's plant in Rastatt, Germany.